These Eco Slabs are a great way to create a slip resistant easy to clean area instead of using concrete slabs. Concrete is notoriously polluting by comparison, adding many tonnes of greenhouse gas to the atmosphere. Using recycling plastic for these aesthetically pleasing slabs keeps tonnes of waste plastic out of landfill and incinerators, and has the added advantage of being recyclable at the end of its useful life. Available both with and without drainage slots. Quick to lay and economical. Recycled plastic Paving Slabs will never crack, warp or splinter, and are impervious to most chemicals. 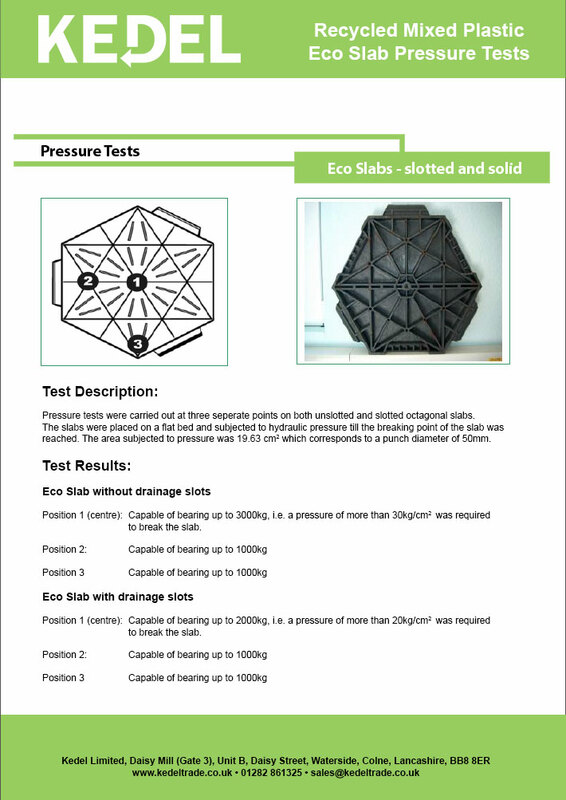 These Octagonal Recycled Plastic Paving Slabs can bear up to 3000kg without breaking.